A candidate for one of two at-large seats on the D.C. Council was challenged over his 20-year-old arrest on a minor marijuana charge, but that was just one of the personal issues to emerge in this campaign. Half a dozen candidates are seeking the council seat, including incumbent Council member Michael Brown. Challenger David Grosso, a former council staffer, has been attacking Brown for a series of widely reported personal and private business lapses that Grosso says make Brown unfit for the council. Brown fired back this week, mentioning a brief Washington Post online story that said Grosso had a drug arrest in his background and saying Grosso wasn't disclosing it. 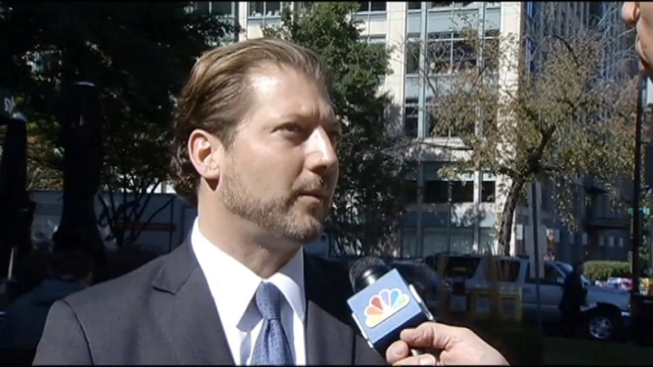 In an interview with News4, Grosso -- a lawyer -- said it's a 20-year-old minor arrest for marijuana. Brown said he doesn't care about the old arrest, just the ethics of not better disclosing it. As for his own business and financial issues, Brown said the voters will decide if they're relevant.